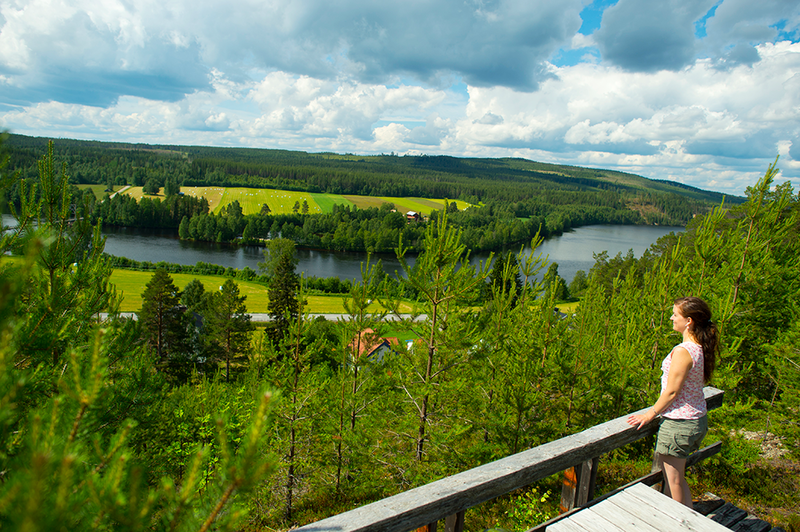 At the end of August, when the Scandinavian summer is at its most beautiful, we spend a week together for a unique experience in the middle of the northern wilderness. We eat and sleep well, do yoga and enjoy spending time in nature. All in order to strengthen our bodies and return to our natural state of health, balance, and joy. The retreat is led by our beloved yoga teacher Maria Bergmark. She has more than 20 years experience of yoga and her style is very straightforward, simple and inviting, and she teaches students at all levels. We want this week to be a pause from everyday life, to let you focus entirely on yourself and your own well being. We start each day with 90 minutes Ashtanga / Hatha Yoga, where we soften and strengthen our bodies and minds through sun salutations, deep breathing, standing and sitting movements. Yin Yoga classes are offered a couple of times during the week. Yin Yoga is a calm and meditative form of yoga where we hold each position 3-5 minutes, to access the deep connective tissue. We use props like blankets and bolsters to be as comfortable as possible, and all the exercises are done with relaxed muscles. All yoga offered during the week is suitable both for beginners and for more experienced yogis. 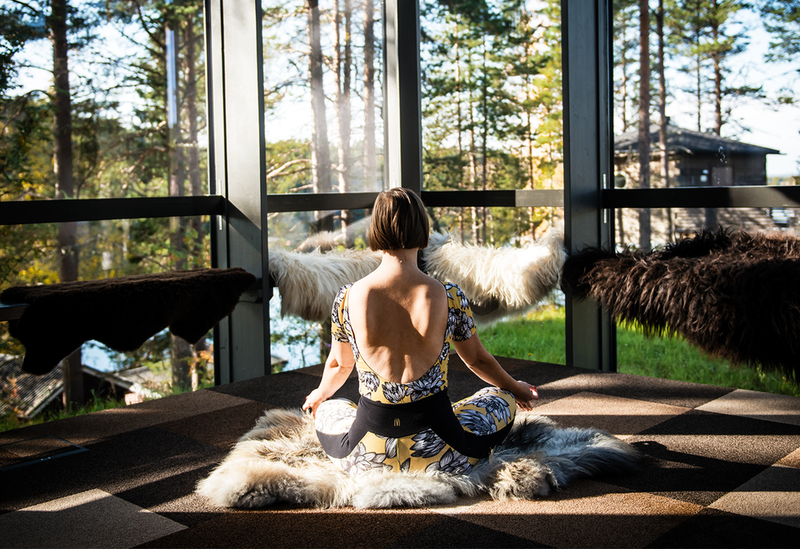 Our week together is spent in the small village of Granö in northern Sweden, where we eat, sleep and do yoga overlooking the magnificent Ume River, surrounded by the endless northern woods. 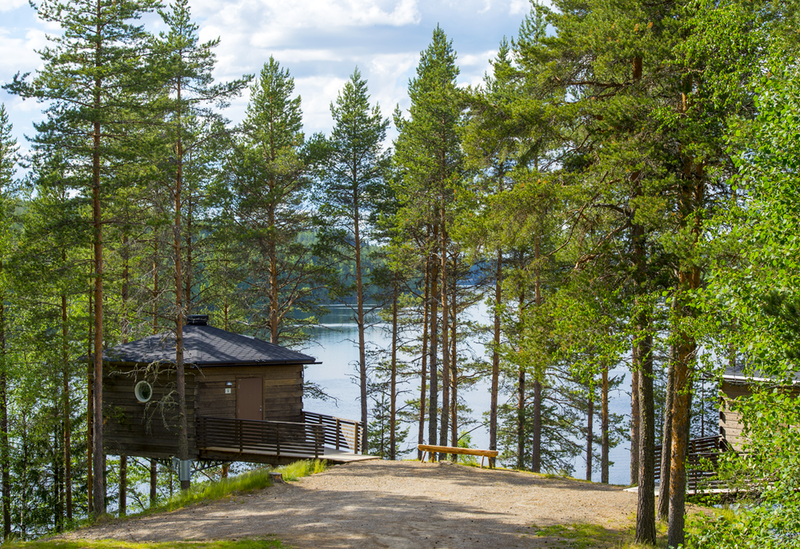 We want to invite you to take part of the wild nature of this amazing place and offer both a guided herbal walk in the forest and an evening with sauna and hot tub by the river. There is also plenty of free time during the day for you to explore the surroundings, maybe rent a bike, swim, go for a walk, or just be. This week is for you, to recover and replenish. "To keep things simple and not loose my temper over unimportant things is pretty much how I live my life. I do not like the airy fairy stuff in yoga. For me, stepping onto the mat is my way of connecting to my body and soul, just as simple as that. Many like the way I teach because I'm ordinary. No New Age stuff in my classes. To me, a retreat is a wonderful opportunity to dive deeper into yoga for a little longer, to become more present, and to guide people into that experience." You can read more about Maria on the page about our yoga teachers. The accommodation is located in the beautiful village of Granö. When you make your reservation you choose whether to stay in the hotel or in a "bird's nest". On Granö Beckasin’s website you can read more about the different options. You make your reservation by contacting Granö Beckasin.